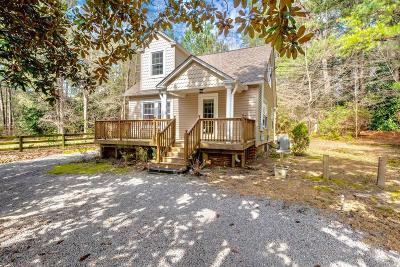 Charming 3/2 cottage on almost 2 acres located less than 2 miles from downtown Southern Pines with an easy commute to Ft. Bragg. Circular gravel driveway guarded by two mature Magnolias leads to front steps of spacious front deck and covered entry. The scalloped accent siding on front porch stoop and dormer adds to the charm and character of this rare find. 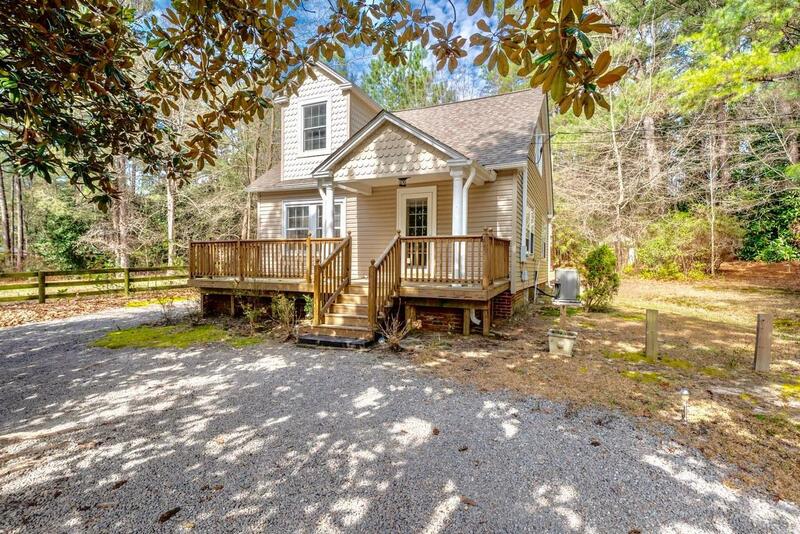 The backyard is full of mature trees and has a convenient storage shed. Lots of potential!NOTE: Unfinished basement is prone to accumulating a few inches of water during heavy rains. Sump pump and dehumidifier are in place. Future buyer may want to have this area evaluated by a qualified professional prior to purchase.